Jodi I love all the little scenes you created! So cute! Super cute! Love the use of the garland here. Pinned. I love the colors and the smiling sunshine. 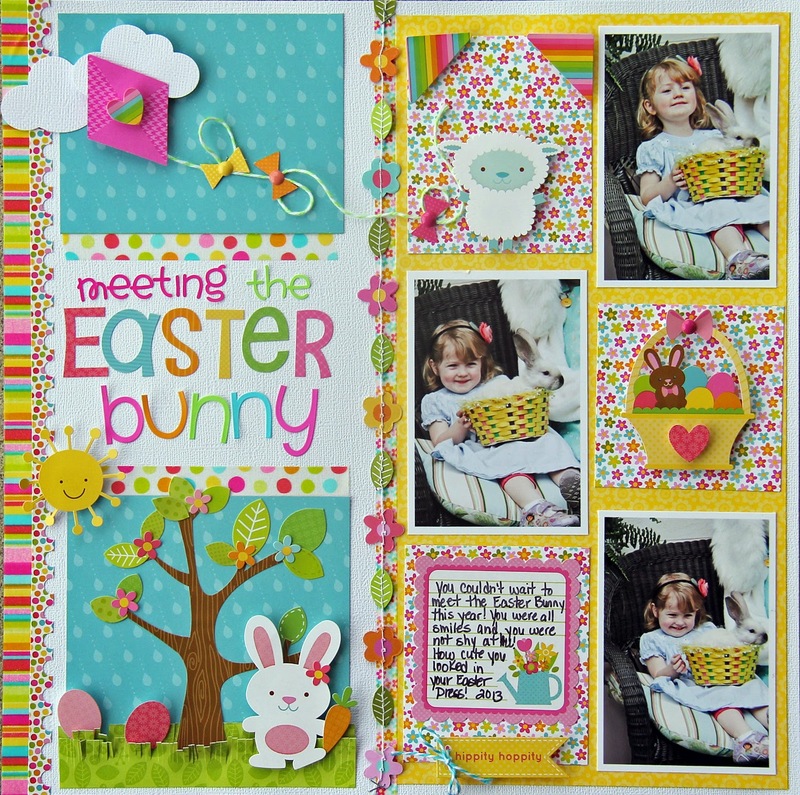 What an awesome, cute and well put together layout!! 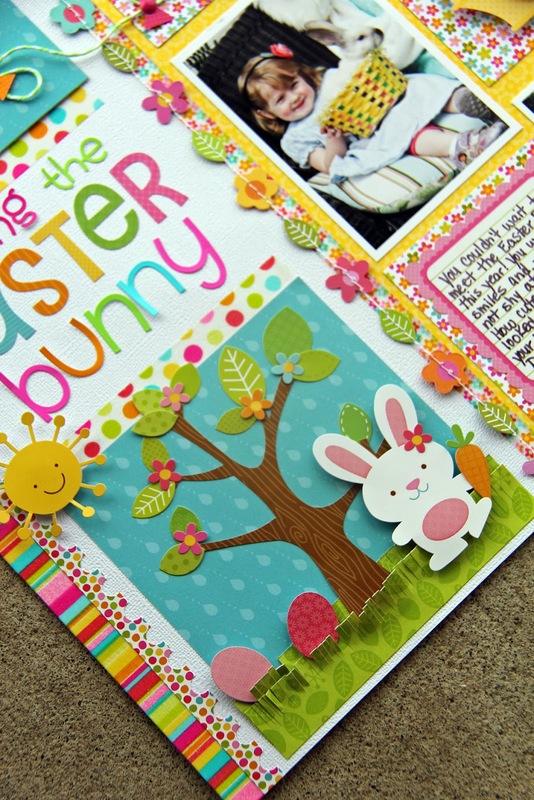 Love the details such as the tree with the bunny and the kite!!! It really WOWS!! Way to go!! 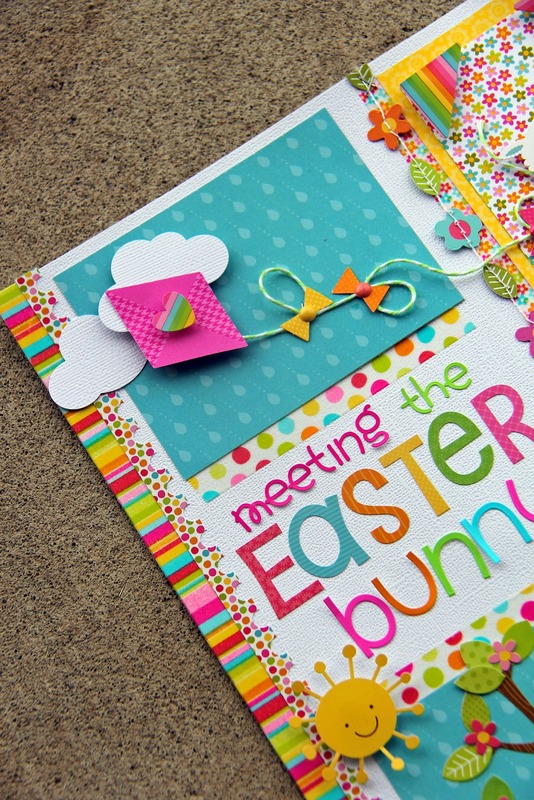 Dimensional embellishments look great - and the bunny is super cute. You are a very talented scrapper. 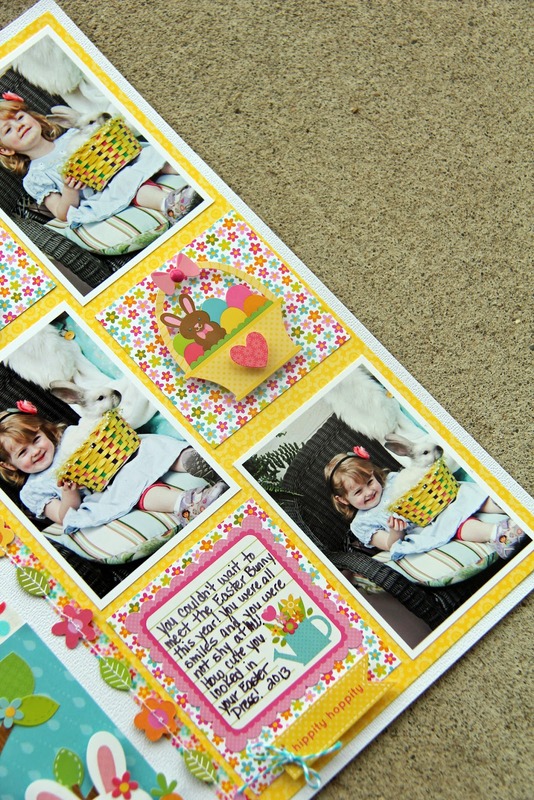 SUPER CUTE photos and SUPER SWEET layout Jodi!!! Absolutely loved your layout! I enjoy making scenes on my layouts too! Pinned away on my Scrapbooking board! Thank you for the inspiration! Such a cute layout! I love it!